Elaine Hastings and her dad giving food tips and recovery from over eating. The 4th of July 2018. With Huseyin Sirt and Savannah Hastings. 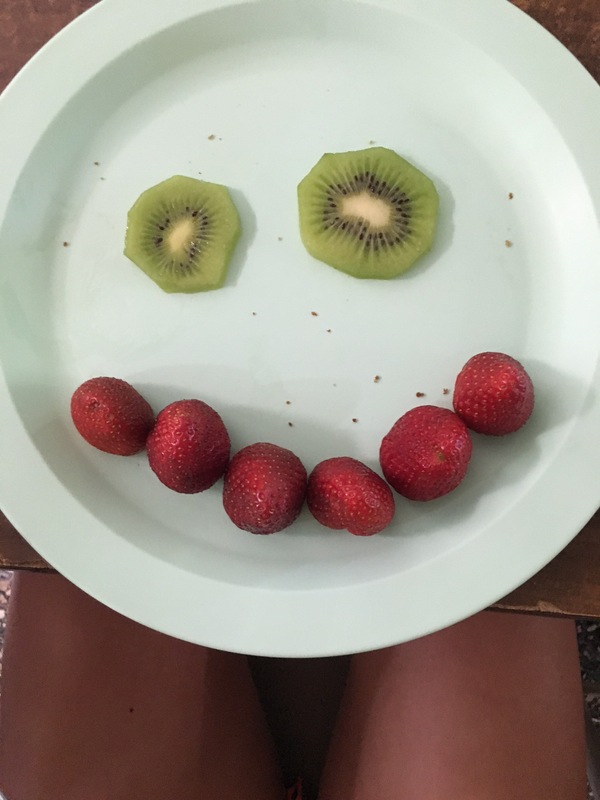 The Nutrition Kid: Lions and tigers and berries, oh my! Lions and tigers and berries, oh my! When following the yellow brick road to good health, berries are a wonderful snack to enjoy along the way. Berries are the perfect snack food. Not only are they naturally sweet and low in calories, but they are also high in fiber, making them a great choice for fending off the between-meal munchies. In addition, berries are loaded with vitamin C and powerful antioxidant that give your immune system a boost while helping to prevent the cell damage that leads to diseases such as cancer. Eating the sweet treats may even help slow down the natural aging process, improving skin’s appearance from the inside out. Berries are truly little wonders of nature. Each type of berry carries its own special health properties. antioxidants that help with memory functions. – Raspberries are full of ellagic acid, a compound that is known for its cancer-fighting abilities. – Strawberries are high in vitamin C, a powerful anti-inflammatory agent. – Cranberries contain compounds that can treat or prevent many urinary tract infections. In addition, research is under way to determine how different berries contribute to weight loss. In order to obtain the wide spectrum of health benefits that berries provide, it is best to add a variety of different types to your diet. Choosing from the large selection of berries that are available in your local farmers market, supermarket or health food store will prove to be a fun and delicious experience. Along with the more well-known choices such as strawberries, blueberries, raspberries and cranberries, expand your tastes by Exploring the delectable flavors of blackberries, boysenberries, currants and honeyberries. Selecting fresh, local, organic berries is always the best option, yet berries retain most of their nutritional value even when they are frozen or dehydrated. So, stock up on fresh berries when they are in season, but feel free to opt for canned, frozen and dried berries to benefit from their valuable phytonutrients year-round. Just be sure to read nutrition labels when buying dried or frozen berries. Steer clear of those that contain added sugar or are packed in heavy syrup, which adds unnecessary calories. With just a quick rinse, most berries are ready to be tossed into a storage bag or portable container for easy snacking on the go. While berries are delicious and easy to enjoy on their own, there are many more ways to enjoy those nutritional powerhouses. – Blend frozen berries with fat-free yogurt for a refreshing smoothie. – Top fresh berries with low-fat whipped topping for a speedy dessert. – Add berries to whole-grain waffles or pancakes for a filling breakfast. – Layer berries with granola and yogurt for a decadent parfait. Now that you know the numerous health benefits surrounding berries, and are ready to add them to every meal, head out to your local market or produce stand to load up on the ultimate treat – just watch out for any lions, tigers and bears on the way. Fit in fun on Friday! Keeping your family active is especially challenging as kids go back-to-school. With the pressures of homework and busy schedules, it’s easy to fall into the routine of watching television or playing video games after school. I recommend scheduling regular times for activity throughout the week so it becomes a habit, rather than an afterthought.